Inspired by the real life and work of an early neonatologist, Carrie Brown once again celebrates love’s transforming power with a richly imagined, deeply affecting story. The year is 1933, and on a sweltering summer morning, a baby is delivered in a hatbox to the Century of Progress Exposition — The World’s Fair — in Chicago. The very, very tiny baby, born three months early, is brought by his desperate young father to the fair’s famous incubator doctor, who exhibits live premature infants to the fair’s gawking crowds. This doctor, the father hopes, will save his son. Before the summer ends and the fair closes, a remarkable cast of characters will come to have an investment in the fragile baby’s life — Dr. Lep Hoffman, the doctor who cares for him; Caroline Day, the fair’s beautiful fan dancer; and St. Louis Percy, the fan dancer’s cousin, friend, and protector, whose stake in the baby’s future becomes the most serious of them all. In the strange world of the fair, a place of freaks and marvels, mysteries, miracles — and even murders — the notion of what is “normal” is suddenly in question. Sometimes ideas for novels come from what Henry James called “divine details,” by which he meant small and sometimes apparently inconsequential things that mysteriously transform themselves in the writer’s imagination into entire works — Proust’s madeleine cookie, for instance. James referred to the process of inspiration as note-taking, a habit of the human observer that he claimed was as unavoidable as appetite or the need to sleep or the invariable process of aging. “The ineluctable consequence of one’s greatest inward energy,” James called it, this process of receiving signals from the world which transform in the mind of the artist into works of art. Despite their once mysteriously potent force, however, these divine details can become lost over the course of actually creating a novel; one looks back over the distance and can discern no starting point at all. But sometimes there’s a story behind the story, and that’s what I wanted to talk to you about today. Almost a decade ago, my middle child, our daughter, Molly, was born. She arrived two and half months early, and weighed just two and half pounds. At birth she was so small that my husband could hold her in one hand. Molly spent the first three months of her life in an incubator in the hospital, and we spent the first three months of her life either sitting beside her incubator and watching her heart rate on the monitor above her head, or reading about all the eventualities in Molly’s life as a premature baby, some of which came true and some of which didn’t; she didn’t need heart surgery, she did need transfusions; she didn’t have brain bleeds, she did need to be on a ventilator. We read about famous people who began as premature babies. Voltaire. Rousseau. Winston Churchill. Anna Pavlova. Charles Darwin. Napoleon Bonaparte. Mark Twain. One evening during Molly’s hospitalization, in a book with a chapter about the history of neonatal medicine, I came across two photographs taken at the Pan-American Exposition in Buffalo, N.Y. in 1901. The pictures, grainy and dark, showed an exhibit building at the fair, a Moorish-looking brick castle with a tile roof and flags flying. A big sign on the front of the building read, “Infant Incubators.” The other photograph, taken inside the Buffalo exhibit, showed eight incubators lined up against the wall like rotisserie ovens. Positioned around the room beside the incubators were nurses in long white dresses, and two gentlemen — one of whom was a man named Dr. Martin Couney — in dark suits and high white collars. The faces of the adults in the photograph were blurred and unreadable. The babies, inside the incubators, were formless white shapes, indistinct as tiny ghosts. A few weeks later, Molly came home from the hospital, and from then on we were too busy — with Molly, and her older sister, and then two years later their younger brother — to think about Dr. Couney and his live incubator baby exhibit. But just as details from Molly’s weeks in the hospital stand out in weird relief in my memory, the image of those photographs stayed with me, too, and when I came across the book again a few years ago, I found myself arrested once again by the awful incongruity of the photograph — the doctor’s stiff, formal pride, and the public’s appalling appreciation, and the defenseless lives on display in those dark, mysterious incubators. Dr. Martin Couney, I learned, was a man of contradictions. By all accounts a skilled and knowledgeable doctor of prematurely born infants, at a time when most early babies were consigned to a warm spot by the fire and the family’s prayers, Dr. Couney was also a showman — an impresario in the medical world, a man who exhibited live premature babies in their incubators to the curious crowds at world’s fairs in Europe and the United States. Dr. Couney was also known for his Infantorium, as it was called, on Coney Island, where he charged admission to his hospital for the prematurely born (and where Archibald Leach, who went on to metamorphose into the famous Cary Grant, reportedly was a barker, patrolling the boardwalk and encouraging passersby to stop in and see the babies.) Dr. Couney used the proceeds from public admissions to run his hospital and advance his medical research. Few hospitals were offering expert care for premature infants at the time; many, especially in New York, referred infants to Couney. And Dr. Couney never charged parents for his medical attentions to their babies, though his care was often prolonged, sometimes lasting several months until the infants were strong enough to go home to their families. “I made propaganda for the preemies,” he is said to have concluded at the time of his retirement, and I think we are meant to take the word propaganda in the best way possible. The notion of such exhibits strikes us today as the height of bad taste, at the least, and as inhumane, at the worst. Yet it appears that Dr. Couney’s motives were good, his medical practices sound, and his methods of public education effective, if unconventional. A.J. Liebling, who wrote about Dr. Couney for The New Yorker in 1939, established that the doctor was widely admired by his peers in the medical establishment, who credited him with saving the lives of thousands of children who arrived too early in the world, and who might otherwise have died without Dr. Couney’s intervention. 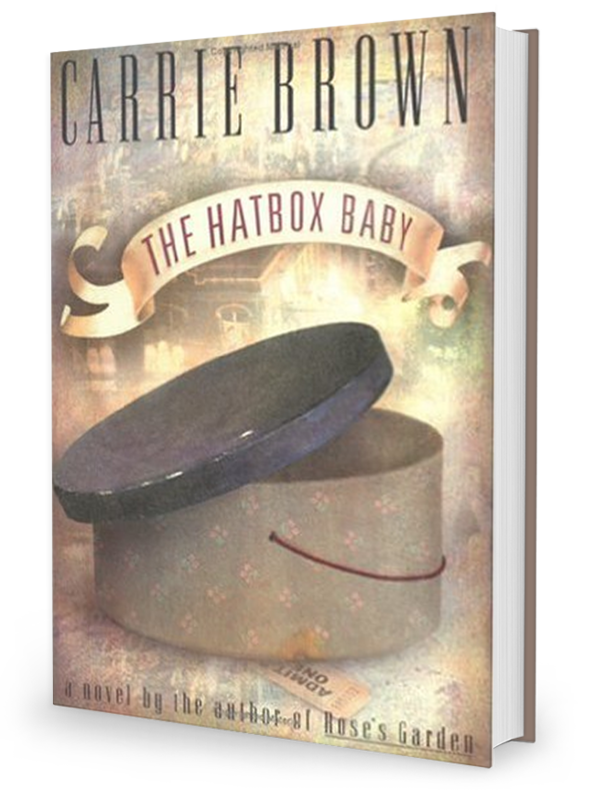 I became fascinated by Couney, but in the end the fiction writer’s pleasure and privilege is one of inventing, not recording, so I left historical reality behind when I began writing The Hatbox Baby. My fictional Dr. Leo Hoffman, who replaces Dr. Couney in the novel, is first and foremost an invention, or at least an invented graft on a real man. Likewise the scene of the novel — the 1933 Century of Progress Exposition in Chicago — is also borrowed from the real past. Today, a portion of the acreage on which the fair was built has been reclaimed by Lake Michigan; some of it lies empty and idle along the lake’s shore. Many world’s fairs have left enduring architectural legacies in the cities that hosted them — in St. Louis, for instance, which houses its zoo in the old fair buildings, or even in Chicago itself, which gained several permanent monuments thanks to the fair of 1893, known as the Great White City of the Unsalted Sea. But the 1933 Century of Progress Expo was the fair of the Great Depression, a chimera of a fair, built of insubstantial and relatively affordable material, and no one ever supposed it would last. Instead, it made its impression with the most ephemeral and magical of effects — electricity. The fairgrounds of the 1933 expo were, to the largely bewildered and still provincial American of the 1930’s, a dazzling and revolutionary spectacle of light and color. My job, as a novelist, was to bring this vanished world back to life. Libraries supplied me with everything my imagination could not — maps, diagrams, drawings, the minutes of the meetings of the fair’s board of directors, articles and commentary in the newspapers and periodicals of the day, even, in the archives of the Chicago Historical Society, the original scrapbooks kept by teenage girls living in Chicago at the time, young women who were star struck by this flashy, larger-than life big spender camped down at the lakefront, and saved even the scantiest evidence of its short, brilliant career — matchbooks, menus, programmes, postcards, pictures from the newspaper, receipts — with the painstaking attention of the hopelessly devoted. So there is my “divine detail” — the photograph glimpsed accidentally, the discovery of the man in the photograph, and the discovery of the world in which he lived. Copyright 2016 Carrie Brown. All Rights Reserved.